I knew what I was in for before I even stepped in the door for this show. 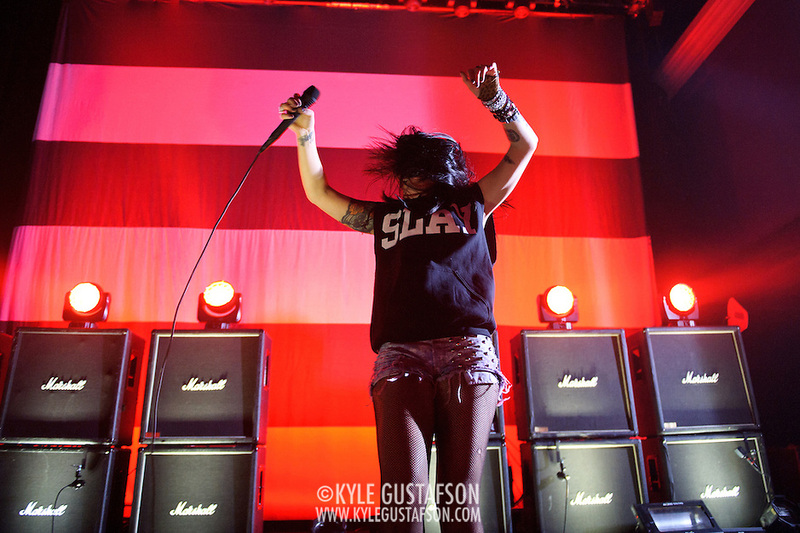 Strobe lights, Marshall stacks and lots of headbanging. 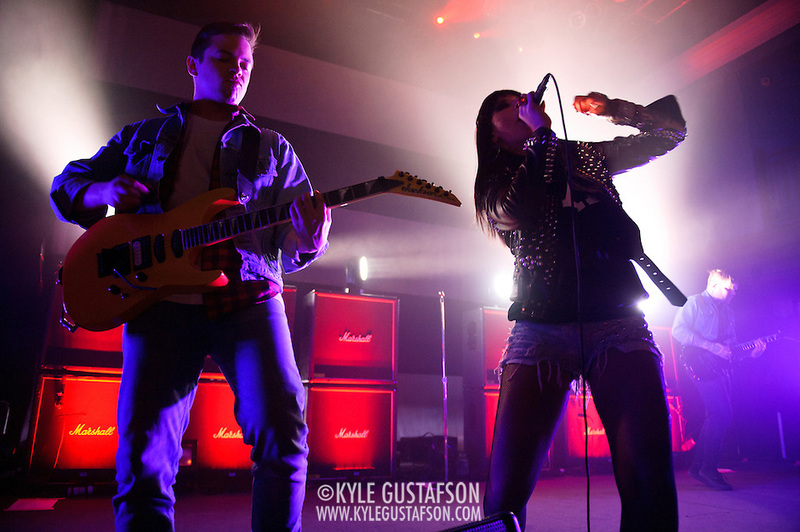 Sleigh Bells’ music is very in your face, and their live show really translates that on stage. 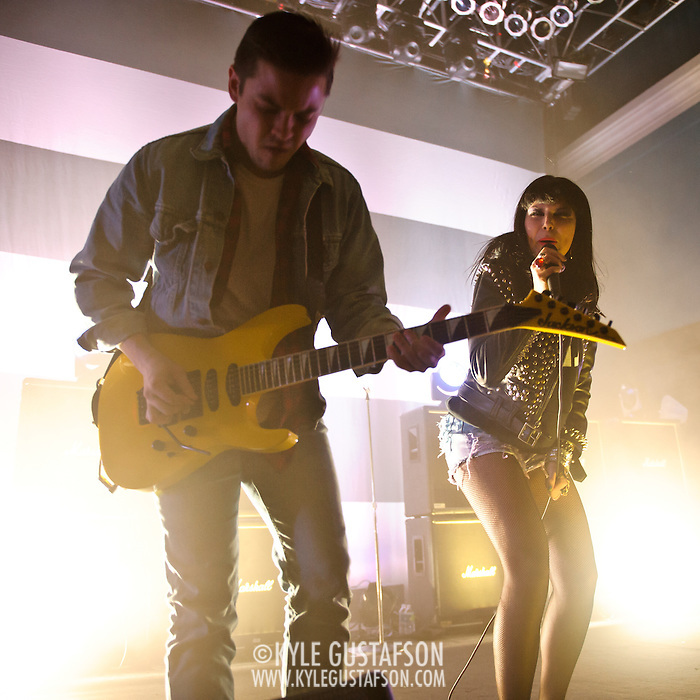 With their strobe-heavy lighting, conditions for this show were less than optimal. 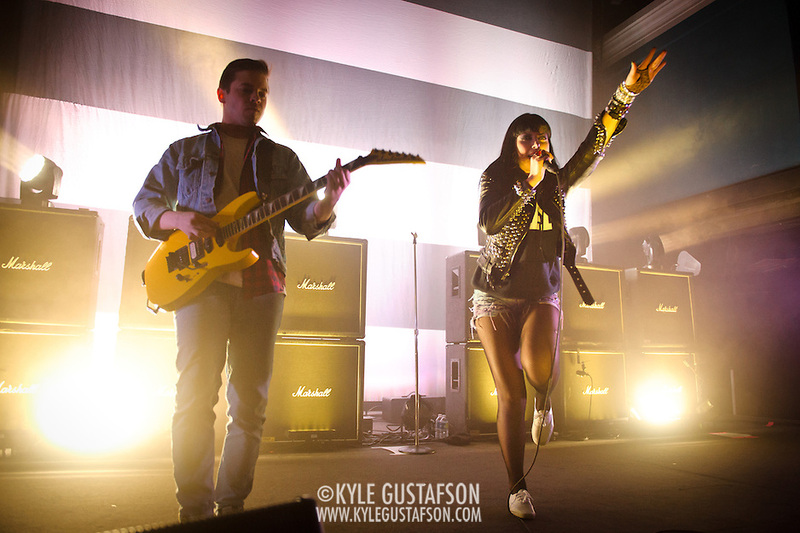 I focused most of my time on Alexis, since she is the face of the band. She hardly ever stands still and when she did, she wasn’t lit, so I had to be content to get whatever shots of here I could when the light was up, even if her hair was totally in her face, as was mostly the case. When I left the venue I was pretty sure I didn’t get anything worth keeping, but I was able to find a nice set of photos in between all the pitch black exposures I took between the strobes. Again, not ideal, but I prefer to think of it as a nice change of pace from the usual gig lighting.